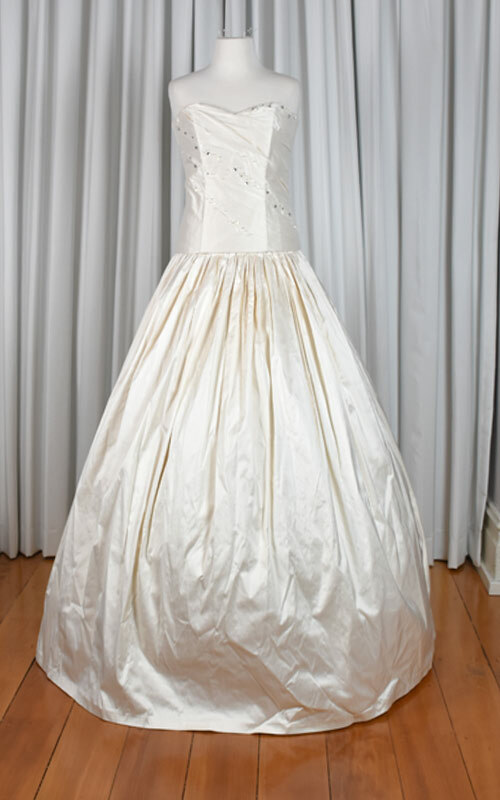 This exquisite bridal gown features a separate bodice and skirt. They are made from a gorgeous ivory silk dupion. 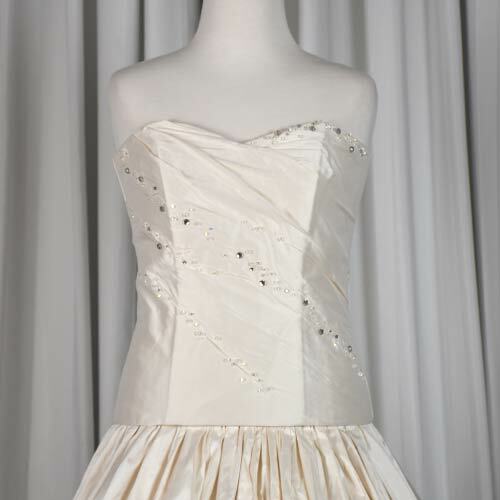 The bodice features pleats with Swarovski crystal hand beading on both front and back. It has a zip in the back on both bodice and skirt. The skirt has elegant gathering around the entire waist with no train. It is recommended to wear a hoop (as photographed) to give it fullness. Both the skirt and bodice are lined in luxurious silk. 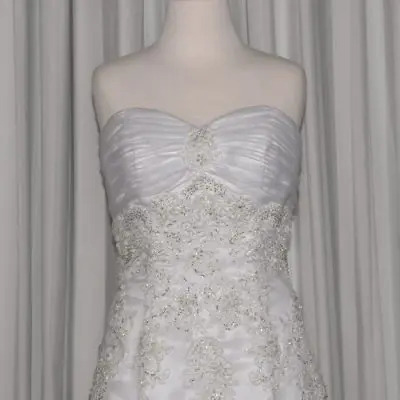 This is a design from our Couture collection and is in immaculate condition and beautifully handcrafted. 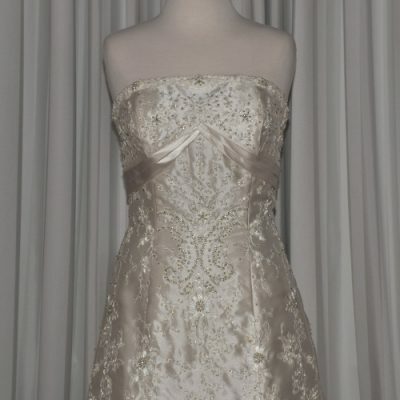 Because this design is made entirely of silk, it is nice and light weight. Take advantage of our great sale prices as this deal won’t be repeated again nor will it last.